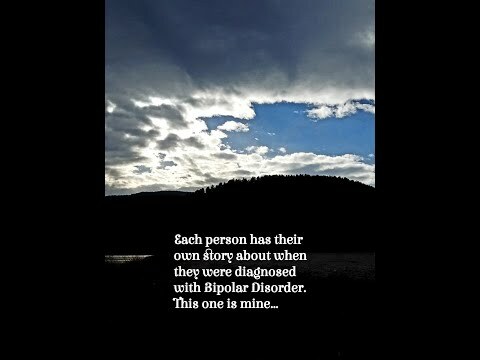 Unlike a lot of people, I can't remember the exact date I was diagnosed with Bipolar Disorder. I was diagnosed with Postpartum Depression around the Summer of 2009 and a year later, when it didn't go away, BOOM! Bipolar II. I'll never forget when my psychiatrist at the time put that on my shoulders and said...See you next month! With PPD, you get better, it's Science. With BP, it's a life sentence, also Science. So I sat in my car ugly crying and soaking in the plan of attack, which was medication at the time. My son was only 3-4 months old and I was determined to nurse him for the first full year of his life. This meant the medication I put into my body had to be safe for him and proved to be a challenge. Somehow we got through it and I even went beyond my goal of a year. I have three sons...24, 19 and 9...as of today, I am 41. What's it like being a mother with Bipolar Disorder? It means that you can't hide everything going wrong from your kids. Especially the older kids. Hiding in the bathroom to have a good cry creates red and puffy eyes. This isn't something you can hide, and that's okay. Hopefully, when the time is right, your kids will be told about your illness and be made to understand it. Mine do. Sometimes you order pizza because cooking seems so far fetched. Sometimes you let the dust settle where it is because the depression is too heavy (or order in a housekeeper once in a while). Sometimes you sleep in, or just lie there, then make your way to the couch and curl up for the rest of the day because that's what you need in that moment. Sometimes you make excuses for not going on outings, but sometimes you force yourself to get dressed and do it anyway because it means a lot to somebody. Sometimes (this is my main indulgence) I order my groceries online and have them delivered. Sometimes I put on make-up and a cute outfit and people think I'm okay. They'll say I look good and to them, I probably do. But also, sometimes I'll go out in the same clothes I wore to bed, no make-up and unwashed hair. If I'm around people I know they sometimes get it but mostly not and it usually doesn't strike up a conversation. People are afraid to talk about it. Sometimes (the older kids) will talk to each other about how mom is doing without your knowledge and it makes you super glad that they have each other. Sometimes (the younger ones) will hear you crying and come give you a hug and ask if you're okay. I usually reply that mom isn't feeling so good today in her brain and feels sad right now. I'll answer questions that follow or I'll accept a second hug. My son knows how to distract me and will ask to play a game with me and it works. Sometimes I apologize to the kids for how I'm feeling then realize that it's not my fault that this illness landed in my lap. Sometimes Everyday I hold onto hope that my kids aren't cursed with being Bipolar. It wouldn't be their fault, it would be mine and every other relative who also has it. It would be on us. Sometimes or if I'm honest...More often than not, because I've been depressed now for over a year (not that I crave hypomania, the crash is just too far down), I think about writing my goodbye note and walking out the front door forever. My little family is too precious to have followed through. Sadly and scarily, I do know that's how I will go out. Disclosure: My psychiatrist is aware of my thoughts and we're working on finding the right treatment plan (as of two days ago).